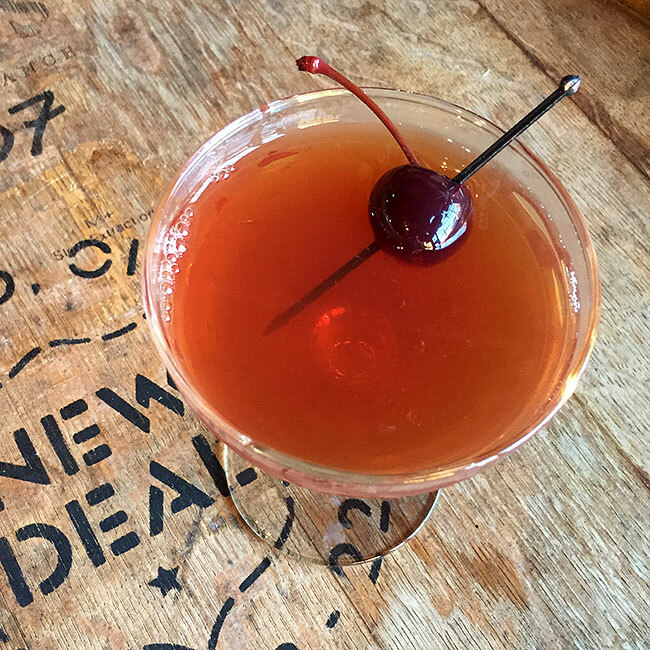 The white dog and cherry in this riff on the classic will even entice seasoned Manhattan lovers! In a mixing tin, briefly muddle white dog, vermouth, bitters and cherry syrup with 2 cherries. Add ice and stir for 30 seconds. Strain into martini glass and garnish with remaining cherry and orange twist.